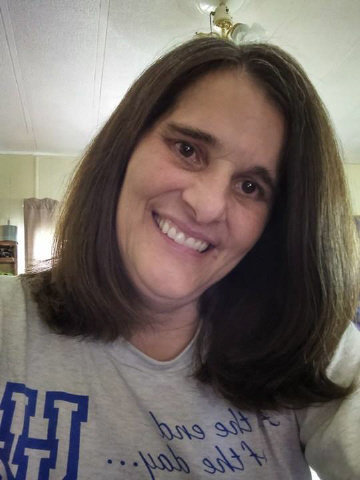 Wanda Sue Hollis, 51, of Marysville, IN passed away on Tuesday, April 9, 2019 at Clark Memorial Hospital in Jeffersonville, IN. She was born on February 15, 1968 to Eddie and Dorothy (Horine) Lozier in Clark County IN. She was a former clerk in the warehouse industry. Wanda is survived by her husband, Jay Hollis: daughters, Jody Collett of Georgetown, IN and Tabby Reynolds of Clarksville, IN; brother, Casey Lozier of New Albany, IN; sister, Lisa Gardner of South Carolina; grandchildren, Tyler Collett and Jacob Collett. Wanda was preceded in death by her parents; daughter, Stephanie Lozier; brothers, Charles Lozier and Daniel Lozier; and sister, Hassie Yates. Memorial services for Wanda will be held at 11:00 A.M., Tuesday, April 16, 2019 at the Charlestown Church of God, 706 High Street, Charlestown, IN. Visitation will be on Tuesday from 10:00– 11:00 A.M. also at the church.